Apple removed the “battery time remaining” indicator from the battery status menu in the latest version 10.12.2 of macOS. Apparently it wasn’t accurate. 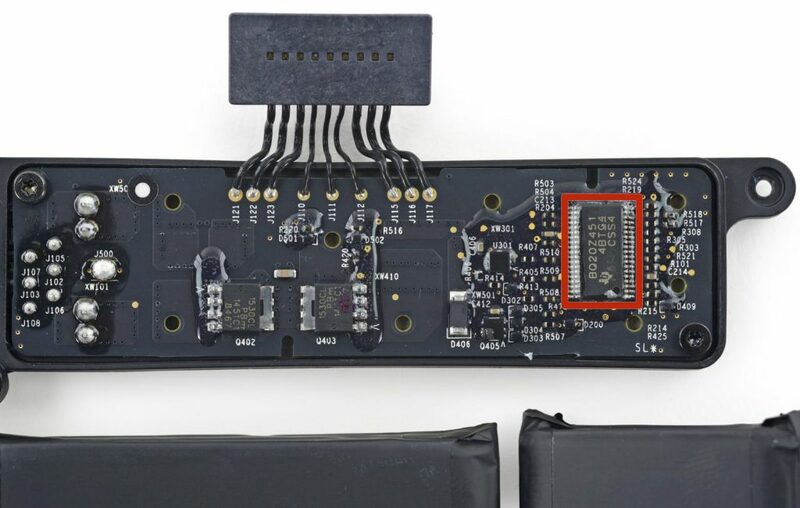 BQ20Z655 appears to be a very similar device that has a publicly available datasheet. The name of the chip is mentioned in the Power section of the System Report. The bq20z655-R1 measures and maintains an accurate record of available charge in Li-ion or Li-polymer batteries using its integrated high-performance analog peripherals. The bq20z655-R1 monitors capacity change, battery impedance, open-circuit voltage, and other critical parameters of the battery pack which reports the information to the system host controller over a serial-communication bus. However, they can’t predict when and how long you’re going to play Rocket League, watch streaming videos or listen to music. All these activities require different amounts of energy by various components of the computer. That is why calculating and predicting the state of charge (SOC) is extremely hard. Even Tesla doesn’t know how long you’ll be driving in the “Ludicrous Mode”. It is almost impossible to provide a reliable estimate when you mix and match various activities. 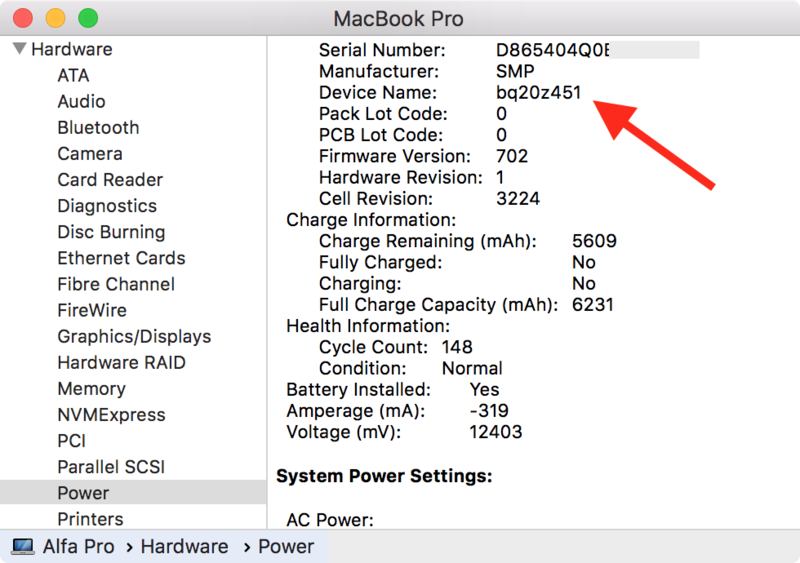 Assuming that macOS is pulling the battery estimates from the TI chip (see pages 16 and 17 of the datasheet for all the available data fields) it is possible that the algorithms used by the chip don’t account for certain power usage behaviours of various components (for example, power saving modes) which produced wildly inaccurate estimates. Come on now…we all know it’s the eye candy touch bar on top of the keys…that’s hogging all the juice. Thank goodness I bought a Carbon X1 which has a ESC key, more battery life, and it didn’t dent my bank account. Apple has enough money NOT to innovate for the next 3-5 years and by then…it will be too late. History does repeat itself my friends. Apple should have just changed the time remaining string to “Up to 10 hrs” and left it at that.